A breathtaking view, blissful time, and brilliance on the horizon. This resort hotel is the representative of Dogashima and is located 59 meters above the sea, which is the height wild birds fly from. 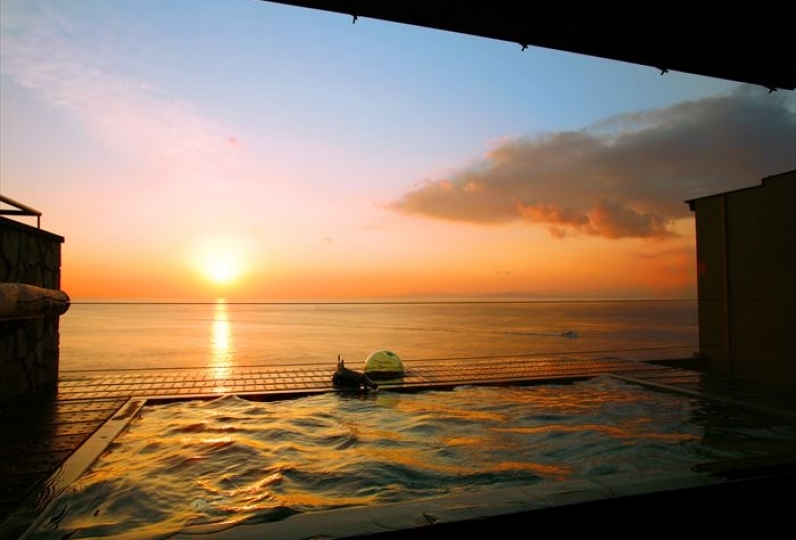 The panorama of grand blue ocean spreading in front of you and the sunset in Dogashima was selected as one of 100 Japanese famous sunsets. All guests will feel welcome with the hospitality and smiles from the staff. Hot spring is the real pleasure of travel. An indescribable relaxation comes from the calm sounds of the waves paired with the changing colors of the sky as you bath. No where else but New Ginsui can serve lobsters and abalones, called jewels of the sea, in a variety of styles. Enjoy a relaxing time at Dogashima. The weather was good, so I could enjoy the beautiful sunset from the lobby and the water surface shining silver. It was disappointing that the wine service had ended in early March. 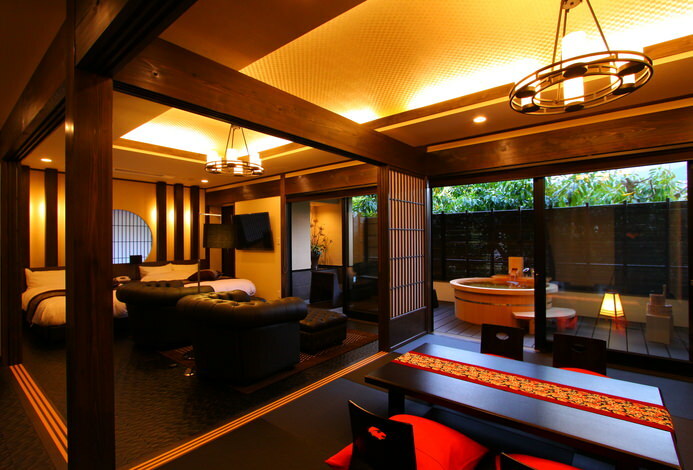 (There is no alcohol in the drink menu in the lobby, so you can only bring it from the refrigerator in your room). All the sections of the hotel were nice to meet you, and the service after the 8:30 am Ara Juice & Fruit Vinegar service was specially prepared to carry because it was just the last minute. At the time of checkout, my husband was impressed by having you wipe the car clean. It was a pleasant memory. Thank you very much. It was a long trip with five families. Especially the third son of elementary school smile throughout the stay at the first inn. To Nakazo, a new guy who showed me to the room, I was saved because I carefully explained the in-hall explanation and correspondence. The bath slowly, too, so that we do not match with group guests about the time of meal, we thought carefully and was able to relax slowly. It was very pleasant from arrival to departure. From arrival to departure, we received a careful reception, and I am deeply moved. We will be happy to receive cars on arrival, guide to the room, an attentiveness in the bath, an explanation at dinner, response at the hall, correspondence at the front, sent off at departure, everyone is confidently received I got a very good feeling for being there. Moreover, I will interfere. One of the most enjoyable moment in trip is bathing in a big bath. 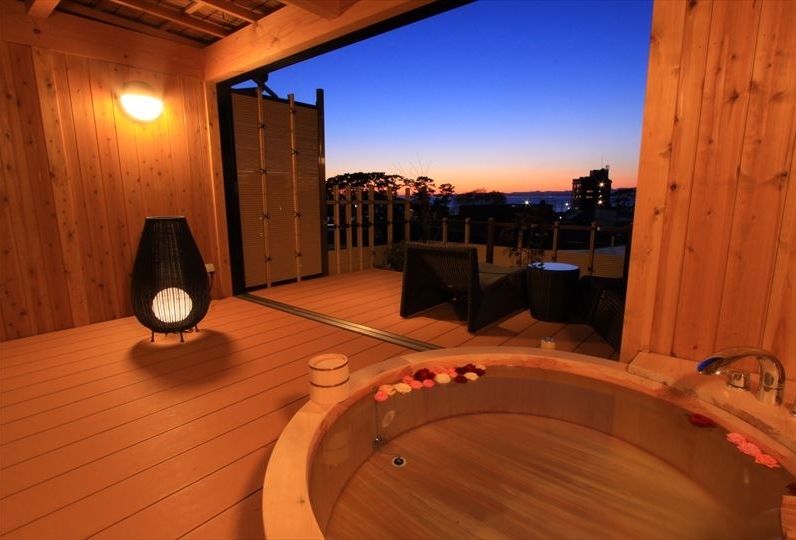 You will experience an extraordinary atmosphere while viewing Dogashima sky and ocean that is only available here. Please enjoy the wide open public spa and the great view and the sound of the waves. Positive effect：cuts, burn injury, dermatitis, arterial sclerosis, nerve pain, sore muscles, arthralgia. 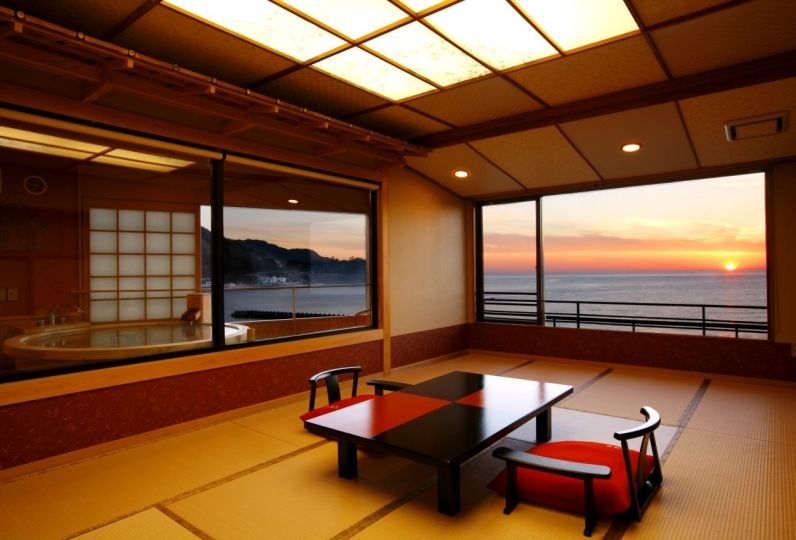 This is a lounge you can see the whole line of western Izu ocean. Please enjoy the best sunset in Japan at Dogashima. This is an amusement zone you can enjoy everlasting summer. This is born from the inspiration of Dogashima nature. Summer in Western Izu is like a never-ending summer resort in southern Island. The pool are equipped with a children pool so families with children also can have fun. Near the hotel is Tsubasawa coast where You can enjoy the calm private beach. 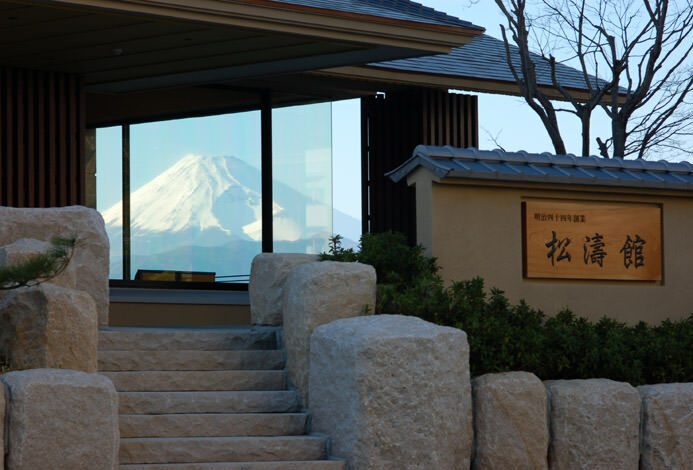 ・Beauty salon "Soins de Celeste"
Beloved by Izu women and has so many repeaters. Enjoy one of the finer moment of life. ・Free of charge for children under 3 years old. ＊You can get picking up bus each 5 minutes from Dogashima New Ginsui to Dogashima bus stop. You don't need to book the bus seat. Please call us when you arrive at the bus stop. We will pick you up at any time.